Look, I don't mean to brag or anything, but KitchenAid is releasing two of the coolest, geekiest stand mixers ever and it's all because of me. I was talking to one of their representatives two weeks ago about my 90th Anniversary candy apple red mixer (it's sparkly!). 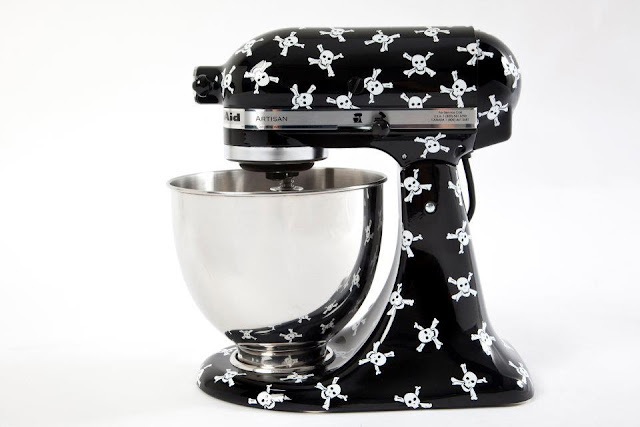 I mentioned that the company needed to create decals, flames and whatnot, so owners can customize their mixers, making the kitchen tool look a little more badass. Obviously, the representative took my idea to heart and spoke with the design team who had access to a time machine or some sort of portal that bends space/time, sent the design specs back to the past, and created the MOST AWESOME WONDER WOMAN AND PIRATE THEMED MIXERS EVER. Really, when you think about it, there is no other logical explanation. Unfortunately, they're only available in Brazil. Let KitchenAid know you want the two available in the States (or wherever you are) on their Facebook page. We need to rally together, people. Let's make this happen! Oooooh! 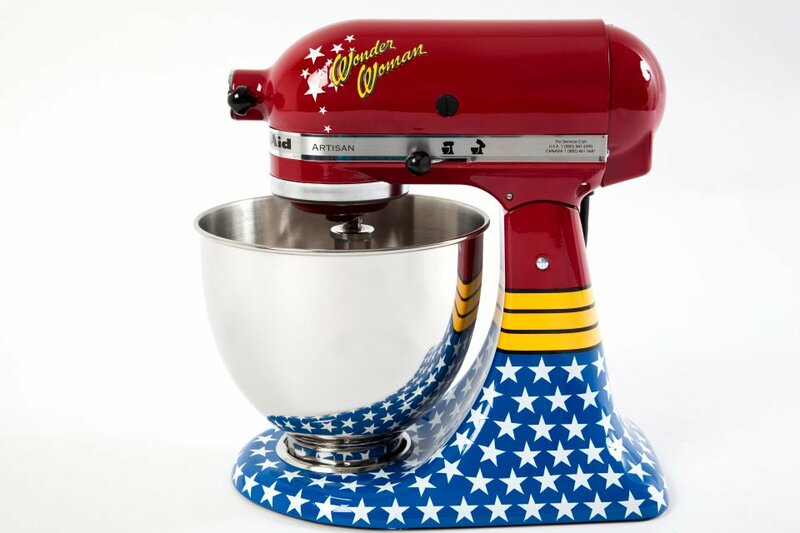 That Wonder Woman mixer is very cool. Ctrl+ A is a windows shortcut keys.shortcut keys for computer which is used to select all file form the folder and use it either move the files or remove it.